Highlands between Asmara and Massawa. A virtual guide to Eritrea, an East African country with a coastline on the Red Sea. The state of Eritrea is bordered by Sudan in west, by Ethiopia in south and by Djibouti in south east. The country shares also maritime borders with Saudi Arabia and Yemen. The former Italian colony became part of a federation with Ethiopia in 1947, in 1952 Eritrea was annexed by Ethiopia. The country became independent in 1993. The country's landscape is divided into three ecological distinct regions. There are the Eritrean highlands, the northern extention of the Ethiopian Plateau, running north to south through the center of the country, the hot and dry western lowlands, and the coastal plain. Highest point is Emba Soira at 3,018 m.
With an area of 117,000 km², the country is almost four times the size of Belgium or slightly larger than the U.S. state of Pennsylvania. 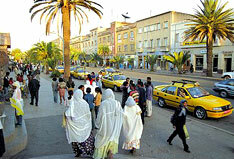 Capital and largest city is Asmara situated on the northwestern edge of the Eritrean highlands. Other important cities are the ports of Massawa and Assab. The country's population of 6 million people is made up of Tigrayans (55%), Tigre people (30%) and some smaller ethnic groups, like Saho, and Kunama. Spoken languages are Tigrinya, Arabic, and English. About 50% of the population are Christians, 48% adheres to Islam. Latest UN Inquiry (2015) reports gross human rights violations in Eritrea. The Government of Eritrea is responsible for systematic, widespread and gross human rights violations that have created a climate of fear. A large proportion of the population is subjected to forced labour and imprisonment, and hundreds of thousands of refugees have fled the country. Population: 6 million (about 1 million Eritreans in exile). Exports - commodities: Copper Ore, Precious Metal Ore, Coffee, Precious Stones. Imports - commodities: Cars, Rubber Tires, Machinery, Petroleum Products, Food, Manufactured Goods. Presidential Palace, office of President Isaias Afewerki. 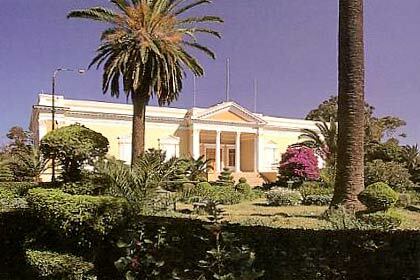 The mansion was built in 1897 by Fernando Martini, the first Italian governor of Eritrea. At least on paper the government system of Eritrea is a presidential republic. But in practice the country is a militarized one-party state run by the People's Front for Democracy and Justice (PFDJ) with president Isaias Afewerki as the chief of state and head of government. Afewerki has been in office since independence in 1993. Other political groups are not allowed to organize, although the unimplemented constitution of 1997 provides for the existence of multi-party politics. National elections have been periodically scheduled and cancelled; none have ever been held in the country. The US has Eritrea designated as a Country of Particular Concern. A United Nations report states that Eritrea is operating a totalitarian government with no accountability and no rule of law. The report described a Stasi-like police state that leaves Eritreans in constant fear that they are being monitored. As it should, the Ministry provides information on Eritrea like national news, and information on history, culture and arts. Eritrea's representation at the UN. Searchable map and satellite view of Eritrea. Searchable map and satellite view of Eritrea's capital city. With all 54 countries of Africa. Welcome to Asmara. 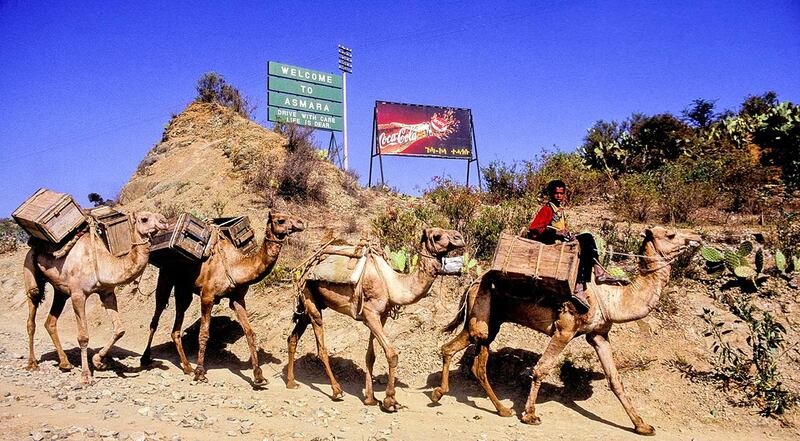 Camels near Asmara, capital city of Eritrea. Eritrea is the only African country to have no privately-owned news media. The news links below are to sites mostly maintained from Eritrean expatriates. See CPJ - the The Committee to Protect Journalists on press freedom in Eritrea. Eritrea, which has been led since independence by the highly authoritarian Issaias Afeworki, figures in last place on Reporters Without Borders’ world press freedom index. "Welcome to the real Eritrean website". Eritrea News in Tigrinia and English. Eritrean Community OnLine Network, provides up-to-date Eritrean related news from various sources. Latest news from Eritrea provided by the ruling political party, the People's Front for Democracy and Justice (PFDJ). Eritrea related news from The Guardian. 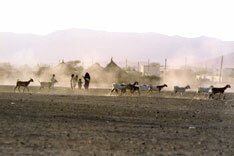 UN humanitarian news and information service with recent news on Eritrea. Some information and pictures from and about Eritrea. The Dutch photographer Anne Alders has captured the everyday life of the nine sections of the Eritrean population. © Anne Alders from the Book "eritrean beauty"
Sifting grain by hand in Eritrea. Eritrea is a member state of COMESA, an organisation of free independent sovereign states which have agreed to co-operate in developing their natural and human resources for the good of all their people. An independent non-profit humanitarian organization dedicated to supporting economic, social and cultural development in Eritrea. A blog about investment activities in Eritera. Eritrean Airlines is wholly owned by the Government of Eritrea. The airline was restarted under new management in 2011. 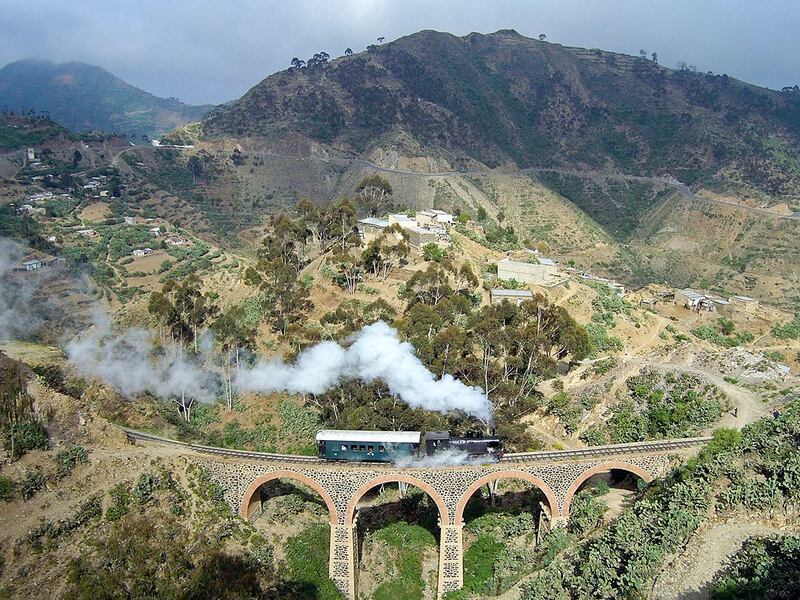 The Eritrean Railway was built between 1887 and 1888 by the Italians, back then the colonial power in the country. Today the train is used only for tourist services and operates between Asmara and Massawa, an important port city on the Red Sea coast. Eritrea information by the Eritrea Ministry of Tourism. The Asmarino site provides articles about Eritrea (in English/Tigrigna). 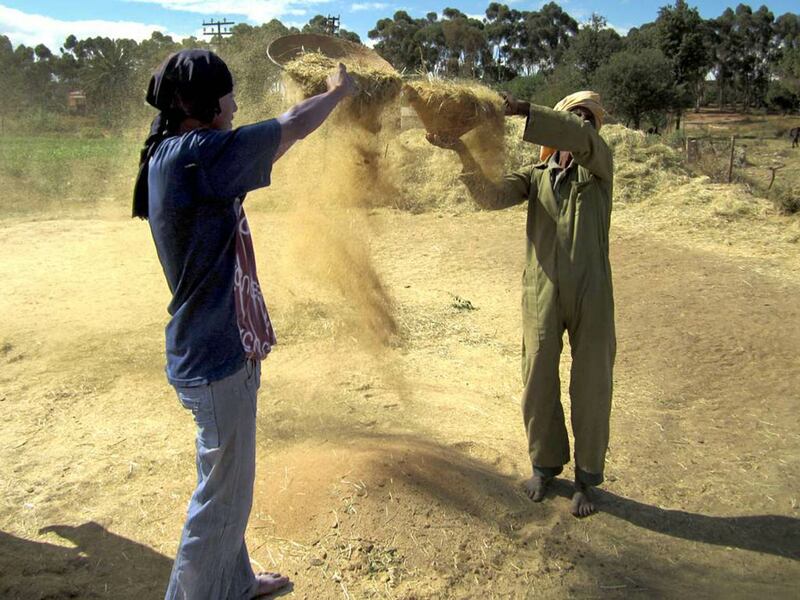 Very informative site about Eritrea by Hans van der Splinter and Mebrat Tzehaie. Eritrea travel guide and tour guide. Travel Eritrea, tourist-related information by Wikivoyage. The FCO advise against all travel within 25km of Eritrea’s border with its neighboring countries Ethiopia, Djibouti and Sudan. Travel advice for Eritrea by the British government. Eritrean institution for higher education in the arts,sciences, business and economics, law, education, engineering, agriculture and health science. The Intergovernmental Authority on Development, a regional grouping of seven Eastern African countries created in 1986 to fight the recurrent and severe droughts and other natural disasters that caused widespread famine, ecological degradation and economic hardship in the Eastern Africa region between 1974 and 1984. 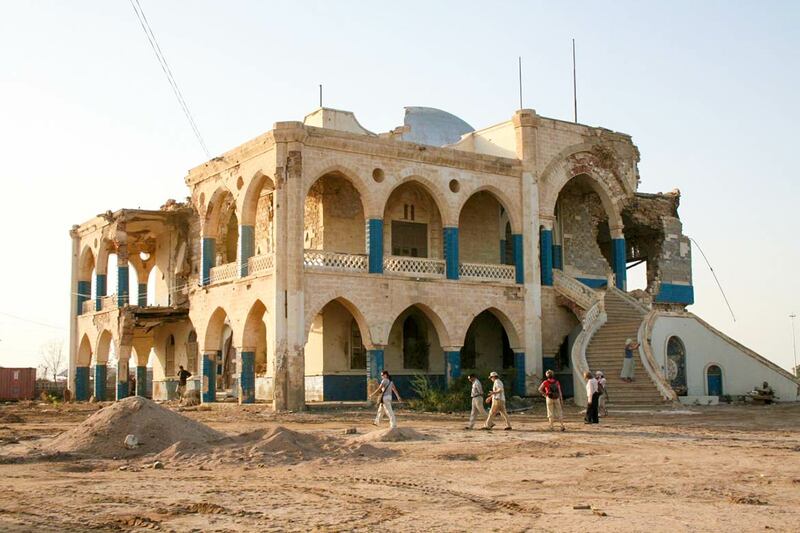 The ruins of Haile Selassie's palace on Taulud Island, Massawa, Semien-Keih-Bahri. The emperor of Ethiopia used the palace when he visited Massawa once a year. During the Middle Ages the region was part of the medieval Medri Bahri kingdom, which maintained important trade routes from the Ethiopian highlands to the Red Sea. Marketable goods were gold, coffee, and slaves. In the 16th century portions of the region became an Ottoman province with Massawa as its capital. The Ottomans lost foothold at the end of the century but they retained control over the coastal areas (today coastal Eritrea and Djibouti) until the establishment of Italian Eritrea in the late 1800s. The colony of the Kingdom of Italy ended in 1947. In January 1941 the British army has conquered Eritrea during its the Abyssinian Campaign, this event triggered the Italian guerrilla war in Ethiopia/Eritrea. In 1947 Eritrea became part of a federation with Ethiopia and in 1952 Eritrea was annexed by Ethiopia. 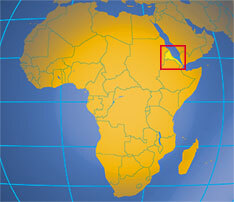 The annexation led to the Eritrean War of Independence, ending with Eritrea's independence in 1993. The Eritrean–Ethiopian border conflict is still ongoing, a violent standoff with numerous casualties. Eritrea from early history until now. Site provides information on the Crisis Between Eritrea and Ethiopia with maps, history, publications. Wikipedia articles about Eritrea and the country's history.